During the American War for Independence, then as now, a diversity of viewpoints were held by men on both sides. There were those of the Crown forces, adherents of the Whig party, who were quite sympathetic to the cause of the American Patriots. Such sentiments reached all the way up to the commander of the Crown forces in North America, Lt. General Sir William Howe, to HRH the Prince of Wales. Meanwhile, among the American leadership were those who espoused the eventually successful cause of independence in some sort of republican union but also those, not often remembered, who preferred the goal of greater concessions and self-government within the British Empire and under the ultimate sovereignty of the Crown. One of these men was Joseph Galloway of Pennsylvania. Born in Maryland, his family moved to Pennsylvania and young Joseph studied law alongside William Franklin, illegitimate son of the famous Ben Franklin, eventually becoming a lawyer in Philadelphia. Originally a Quaker, he converted to the Church of England and married the daughter of a very wealthy and well-connected family. He became a member of the Pennsylvania Provincial Assembly, later Speaker of the House until 1774 and, again alongside Franklin, was most known for his efforts to have Pennsylvania become a Crown Colony rather than a Proprietary Colony of the Penn family. As his political career demonstrated, Galloway was no republican firebrand. Indeed, he has more than once been referred to as an Anglo-American nationalist, which would certainly make him unpopular today even if nothing else were known about him. He had objections to the state of affairs in the colonies but, again, like many, his objections were not to the British Empire itself but rather with the subordinate place of the American colonies within it. He believed that the British constitutional monarchy as it was then, was the best system of government in the world and that the British, be they in the home islands or North America, were the best people in the world. He felt that the only problem was that the British subjects in America were not governed in the same way as the British subjects in Great Britain and that if this inequality could be resolved, there would be no further animosity. Indeed, he was convinced that, like himself, most Americans were loyal to the British Crown and were only being driven to disobedience by agitators in America and thoughtless policies on the part of the Parliament in London. In 1774 he had sufficient prominence and popularity to be chosen as a member of the Continental Congress (or Philadelphia Congress) which had no validity as far as the British were concerned but which would be the primary governing body of the colonies during the War for Independence. 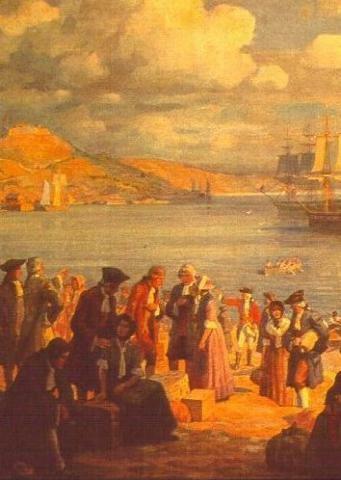 In this capacity, Galloway proposed something quite similar to what Benjamin Franklin had previously suggested at the time of the French and Indian War known as the "Albany Plan" ("Join or Die") which was for the unification of the North American colonies within the British Empire. This proposal became known as the "Galloway Plan" or "Galloway's Plan for Union" which called for what would later be termed "Dominion status" in which the American colonies would unite together under a common colonial government but still under the sovereignty of the British Crown. 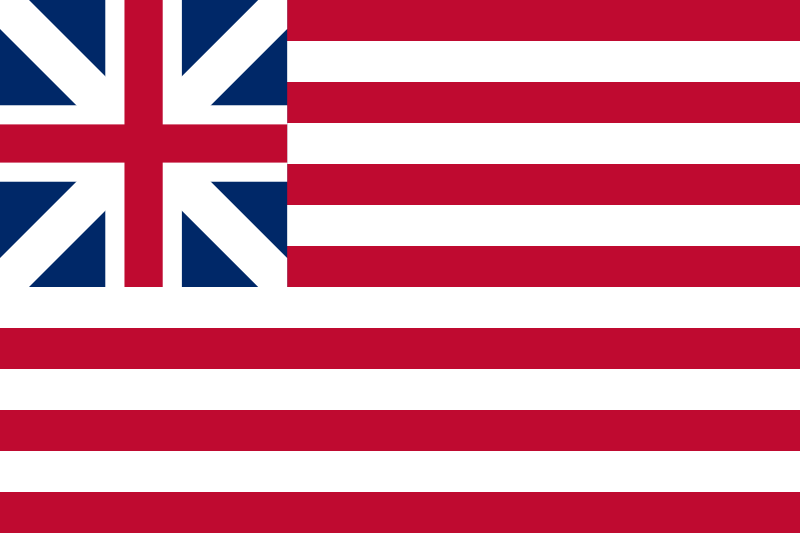 Effectively, under the Galloway Plan, the American colonies would become a self-governing, autonomous partner of Great Britain within the British Empire. The colonial assemblies would appoint representatives to a parliament of their own which would be on equal terms with the parliament in London and would be presided over by a President-General appointed by the King. The American parliament would have jurisdiction over all domestic affairs, including taxation, but the parliaments in both Britain and America would each have veto power over what the other passed so that neither could impose any action detrimental to the other. The British Empire would thus become an Anglo-American partnership of a sort. Unfortunately for Galloway, Massachusetts enacted an anti-British boycott one month before his proposal came up for a vote which was a boon for the radicals and put moderates such as himself at a clear disadvantage. Nonetheless, in October of 1774, when his plan was voted on, it was defeated only by a single vote with five in favor and six opposed. Worse still, the radicals were worried that this would display a lack of resolve on their part in dealing with the British and so it was agreed that his proposal and the very narrow vote on it, be stricken from the record. Understandably outraged by this, and seeing little hope for a compromise, Galloway left Congress and made his plan public himself the following year. He could see that there would only be two choices allowed to any American colonist; to support the King or to support total independence and, forced to choose, he would take the side of the King. His objections to British tax policy and trade regulations was not so great as his fundamental loyalty to the hereditary monarch of his nation. In late 1776, early 1777 he joined General Howe and the British army in the campaign to take Philadelphia. Once accomplished, he was made chief of police and head of civil affairs, earning praise for his administrative talents and his organization of loyalist militia forces. The following year, when the British abandoned Philadelphia, he withdrew with them to New York and from there, with his daughter, took ship to England where he became a prominent advocate for the American loyalists and an adviser to the British government on American affairs. Still thinking that this view of American public opinion was the correct one, he asserted to the British authorities that there were many American loyalists in the colonies who could be instrumental in bringing the conflict to a successful conclusion. His advice may well have influenced the southern campaign in which the British had counted heavily on an outpouring of support and volunteers from American loyalists. In the meantime, the same year he left for England, 1778, the Pennsylvania Assembly convicted him of high treason and ordered the confiscation of all his property. His wife, Grace, had stayed behind in Philadelphia in the hope of saving their property (which was actually her property rather than his) but, of course, this made no difference and she was forcibly evicted from their home. 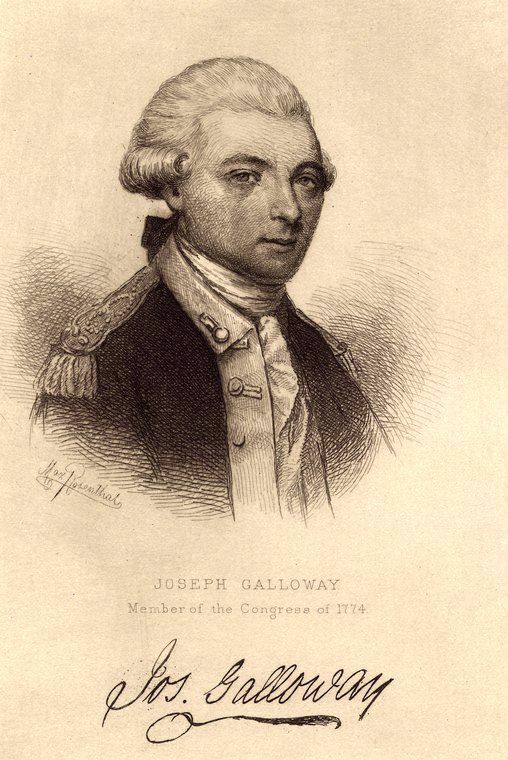 In Britain, Galloway was also called as a witness at the trial of General Howe over his conduct of the war in America in which Galloway had few positive things to say about the general. Howe, to be fair, had little positive to say of Galloway either, accusing him of meddling in military affairs during the occupation of Philadelphia. When the war ended in defeat for the Crown forces, Galloway settled down to a quiet life in England, devoting himself to religious study and literary pursuits until his death in 1803. His plan has mostly been forgotten today but it is notable that something similar would ultimately become quite common within the British Empire as the colonies of Canada and Australia united to become self-governing dominions in due time. Would his plan have worked? It would certainly have worked in keeping the English-speaking peoples united but as we can see across the British Commonwealth today, may well have fallen victim to the liberal laxity which has affected so many others. Yet, the retention of the American colonies within the British Empire may well have brought about a dramatic change in world history in a myriad of ways one can only speculate about today. That, we can never know, but it remains true today that the view of Galloway, and the basis of his plan, that the people of one language and one nationality should be united, are still not without supporters even while so many push against the notion, just as they did in his own time. You’re a treasure, MM. Cheers for introducing me to someone else I hadn’t (but should’ve) heard of. There’s quite a few articles and books about or by Joseph Galloway on the Internet Archive, which I will now immerse myself in. I agree with many of your views on legitimate authority and historical events such as the English Civil War but I can’t stand that you demonize the great American Revolution as being a radical left wing Revolution like Cromwell’s Revolution, the 1848 revolutions, the Bolshevik Revolution etc and I see you as a traitor to America. The American Revolution was more against the corrupt British Parliament then King George III who was a constitutional monarch. The cause of the tensions was that the colonists were used to living under autonomous self government since the colonies were founded, and then parliament suddenly started intervening in their affairs, taxing them without giving them fair equal representation. If Britain was to have a representative parliamentary system, then the colonists should have had the right to representation in parliament. And the British government was illegitimate anyway because it was the government formed from the “Glorious” Revolution that overthrew King James II from his rightful throne and established the corrupt Bank of England. The Jacobite pretender Charles III was the rightful King, not George III. I only support Queen Elizabeth II of the UK because Franz Duke of Barvaria does not claim the throne. In an ideal scenario, I would like for the UK and France to kidnap him to force him to be the king of both countries(I see him as the rightful king of France due to English claims to the French throne dating back to Edward III). So if you believe in traditional authority, why do you condemn a rebellion of independence against a corrupt illegitimate oligarchical government that had a corrupt central bank. This is what Thomas Jefferson said about a large private central bank. "If the American people ever allow private banks to control the issue of their currency, first by inflation, then by deflation, the banks and corporations that will grow up around them will deprive the people of all property until their children wake up homeless on the continent their Fathers conquered.... I believe that banking institutions are more dangerous to our liberties than standing armies.... The issuing power should be taken from the banks and restored to the people, to whom it properly belongs." I am sorry you are so delusional then. As in this article, I prefer the term "American War for Independence" rather than the "American Revolution" because, as I have said repeatedly on these pages and elsewhere, it wasn't like the French or Russian revolutions, it was not so radical but, obviously, what I actually write doesn't matter to you. Facts don't seem to either. Representation in Parliament? When Franklin was sent to London as envoy of the colonies, he was not absolutely NOT to accept any deal that gave the colonies representation in Parliament. They didn't want it because they knew the British population was so much larger that they would be easily outvoted on every issue and would lose a good talking point. The Jacobite pretender, Charles III, cheered the American rebels but most Jacobites in America, including Flora McDonald, supported the British Crown. And if you're going to run to Jefferson for justification, the most radical, anti-Christian, Jacobin-loving of the Founders, don't pretend to believe in traditional authority because you're never going to fool anyone. If Jefferson had been in power earlier, he would've taken the USA to war against the crowned heads of Europe alongside the French revolutionaries. He made that abundantly clear. To add the discussion here, I have actually seen the claim made in a book "The Highland Clans" that Elizabeth II is in fact the rightful Queen of Great Britain for the following reason: "
... by the fourteenth century it had become common law (in both England and Scotland) that a person who was not born in the liegeance of the Sovereign, nor naturalised, could not have the capacity to succeed as an heir .... In Scotland, this law was modified in favour of the French from the sixteenth century, but was otherwise rigorously applied until the Whig Revolution of 1688, after which it was gradually done away with by the mid-nineteenth century. It was precisely because of this law that Queen Anne found it necessary to pass a special Act of Parliament naturalising all alien-born potential royal heirs under her Act of Settlement of the throne. But, of course, from the Jacobite point of view, no new statute could be passed after 1688 .... The nearest lawful heir of the Cardinal York in 1807 was, in fact, curiously enough, King George III himself, who had been born in England (and therefore in the technical liegance of James VIII)." This means that from George III onwards, the British monarchs have been completely legitimate. I am aware of what you wrote in other articles but in this particular article, you referred to those who wanted independence as “radicals”. What I meant by representation in parliament was the proposal of “a parliament of their own which would be on equal terms with the parliament in London”. The colonists believed that since they did not have that kind of equal representation, parliament had no right to tax them. In 1774, they even petitioned King George III to repeal the acts of parliament and then good relations would be restored. The King did not reply which was the last straw. And yes Charles cheered the Americans which means that the Jacobites in America either did not know that he did, or were traitors to the Jacobite cause. You are repeating the same propaganda about Jefferson that liberal historical revisionists proclaim. Jefferson was not anti Christian. While his own faith is disputed among historians, he supported the rights of various Christian sects to practice their religion without any government interference. Contrary to historical revisionists, he was not like the ACLU. And he did not support the French Revolutionaries during the most radical phase when they executed King Louis XIV and had the reign of terror. And I do believe in rightful traditional authority more than you do. The Bourbouns were not even the rightful monarchs of France in my opinion because I have English ancestry, and the monarchs of England claimed the French throne ever since Edward III. So France as a Republic was not any less legitimate than it was under the Bourbouns. The wars against other monarchies were wars of self defense not offense. If Jefferson was in power earlier and intervened on France’s behalf, the end result would be a treaty where the monarchs recognize the French Republic not the overthrow of the monarchies. Under this alternate history scenerio, Napoleon would still likely come to power, get defeated, and then there would still be the Bourboun restoration of 1814 which I support since the last Jacobite pretender Henry Stuart was dead by then and his successors no longer claimed the throne of Britain or France. So this comment should clarify my views. I am both an American Patriot and a believer in traditional authority. I like both the Republic form of government here in America and the monarchies in Europe. As I wrote in the article, the Continental Congress rejected this plan for a parliament equal to that in London. They didn't want it, just like they didn't want representation in the English parliament for the reasons I detailed. Jefferson did support the French Revolution from start to finish, he also was more favorable to Napoleon because he was above all anti-British. If you believe that the Jacobite claimants were the only legitimate monarchs of England, Scotland, Ireland and France, then I fail to see why you would support an independent America that does not have the Duke of Bavaria as its king or even the territorial integrity of the U.S.A. as, if the Bourbons were also illegitimate, then so was the King of Spain who sold Florida to America, so was Napoleon who sold the Mississippi basin to America, etc. You could of course easily find TradCats who oppose the very existence of the USA and take this on with them. I don't. 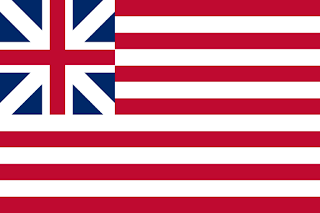 As much as I would've preferred the Crown forces to be victorious, they were not, and when it pleased King George III to recognize the USA, that made the USA a valid country in my view. It seems like you're wasting your time arguing with me. Hey MM, I’m curious about who would rule the US if the worlds Monarchs were restored to power. Would it just default to the English throne since it was English colonies that formed it originally or would we get split up between the former colonial powers?. Or would Americans decendent from European royalty be up for Election to Emperor of America a la H.R.E style?